I love those vines in the fall-such vibrant colors-and the birds love the berries! 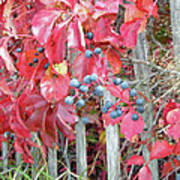 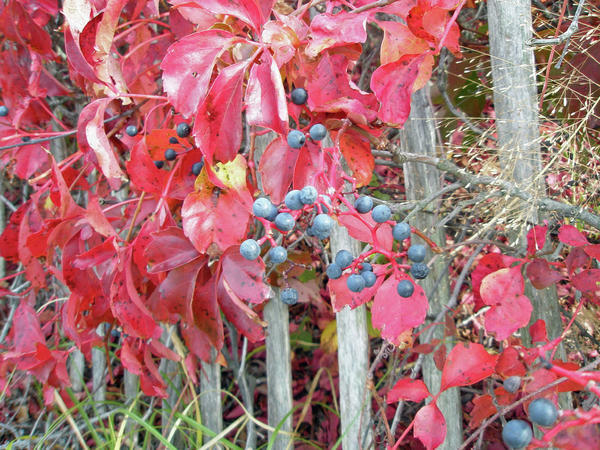 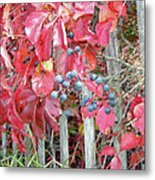 The Virginia Creeper vine turns bright red in the fall and has blue berries. 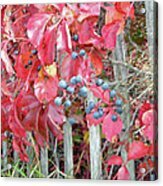 This picture was taken on Long Island Beach State Park, NJ.